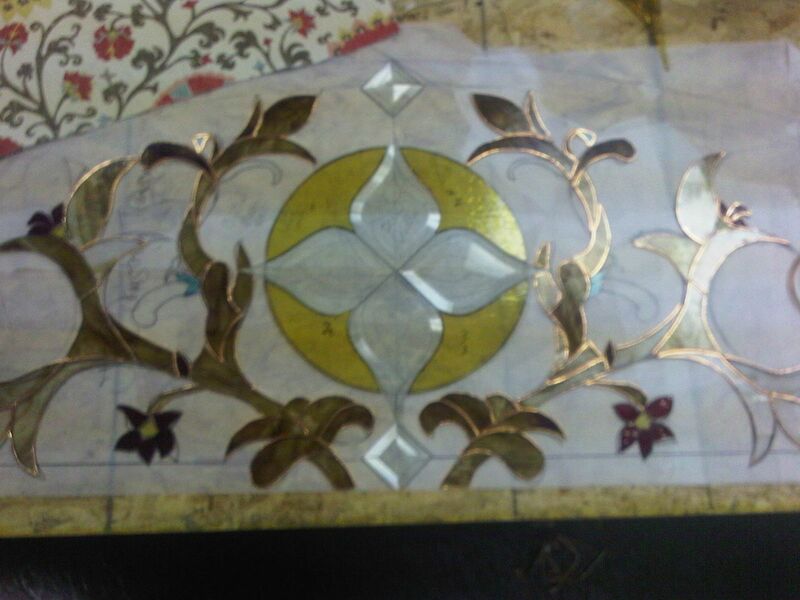 Stained Glass Window by Glassworks Studio. This custom transom window was designed off of a fabric sample that was provided by the client. 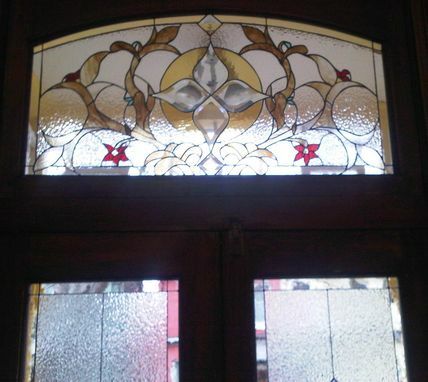 This window is Victorian styled with some flare. Multi-faceted bevels were used with some custom bevel work in other spaces. Color incorporated was subtle blue, red, gold, with the background in a clear cathedral. Door panels were also completed with this project.